There are certain things about the holidays that bring you back to those magical days when you were a child. These cookies are one of them for me. 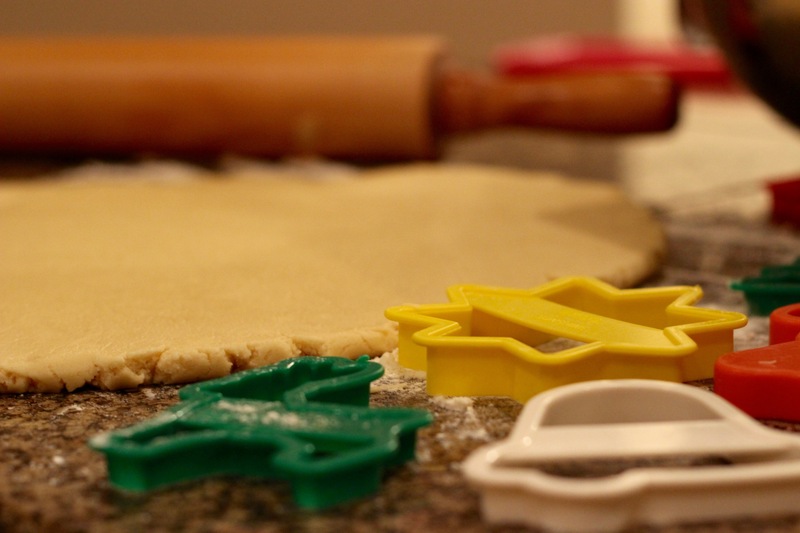 My family has been making these cookies every Christmas for as long as I can remember, and for good reason. They are super simple to make, they hold the shape of the cookie cutter very nicely (unlike some failed sugar cookies my sister and I just made! ), and of course they are really yummy. These are butter cookies rather than sugar cookies, which means they have essentially the same ingredients as sugar cookies but in a different ratio (more butter and less sugar). 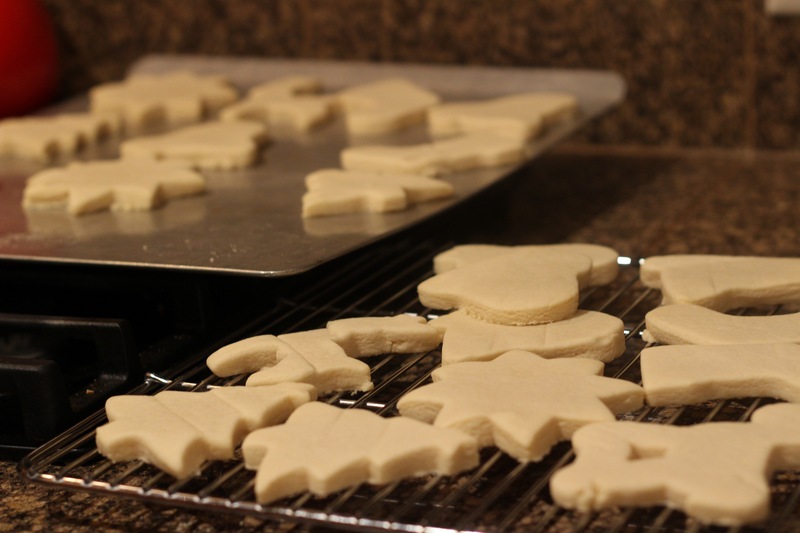 They have a bit of a denser texture than a sugar cookie, and this recipe calls for almond extract which gives them a unique, delicious flavor. In a large bowl or KitchenAid mixer, cream softened butter and sugar until light and fluffy. Add egg and almond extract. Gradually beat in flour, adding more as needed to achieve a consistency firm enough to roll out. 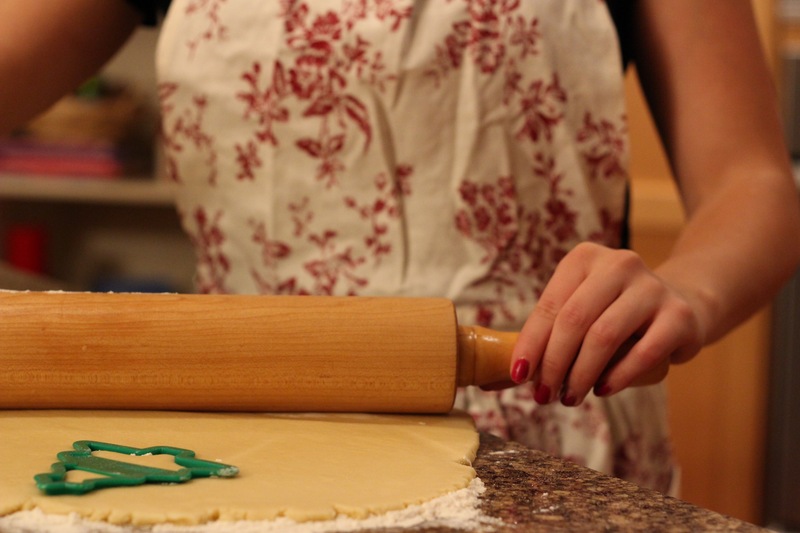 Sprinkle flour on your clean countertop and on your rolling pin to prevent sticking. 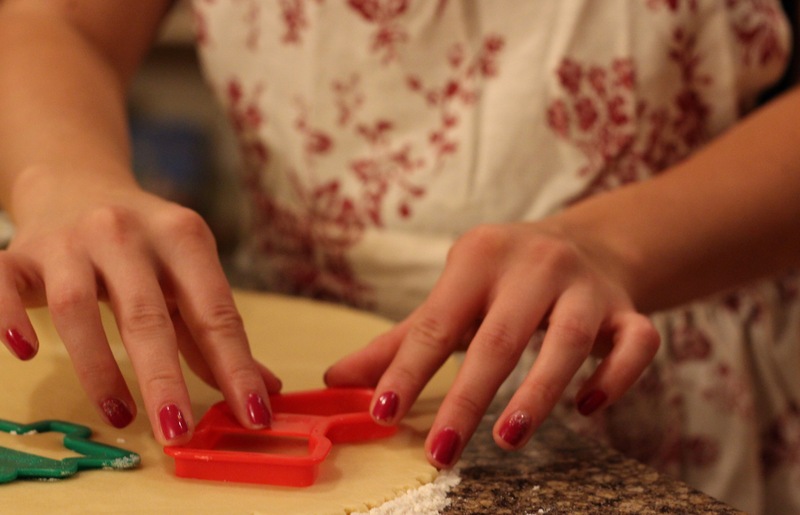 Roll out dough and use cookie cutters to create your desired shapes (this dough does not need to be chilled before rolling out). 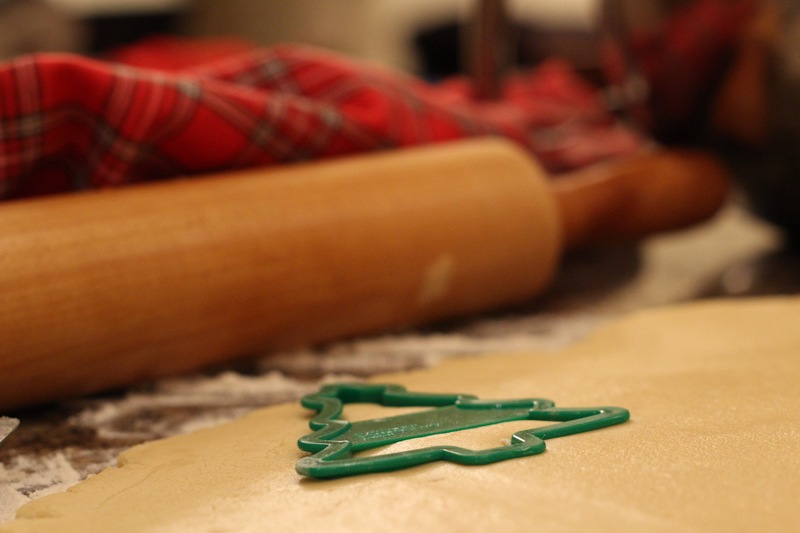 I like to leave the dough fairly thick because if you roll it too thin the cookies get crispy. 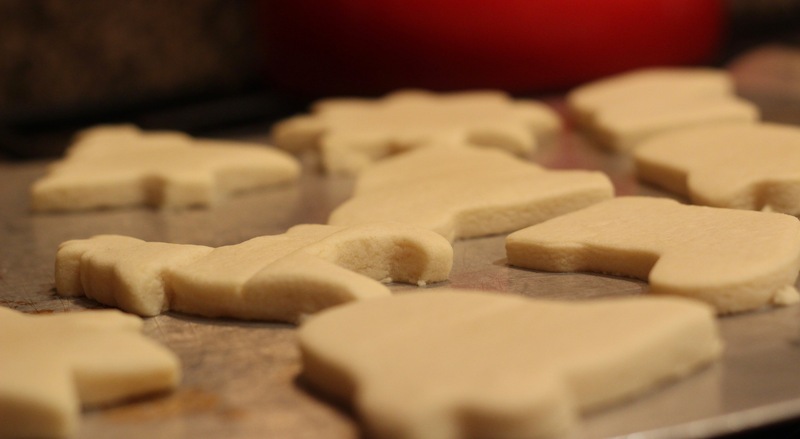 Place cookies onto an ungreased cookie sheet and bake at 350 degrees for 7 minutes. You can place them fairly close together – they don’t spread out very much. Cookies will still appear slightly doughy/shiny when done, but don’t overbake! After removing from the oven, let cookies stay on cookie sheet for several minutes before placing onto a wire cooling rack. 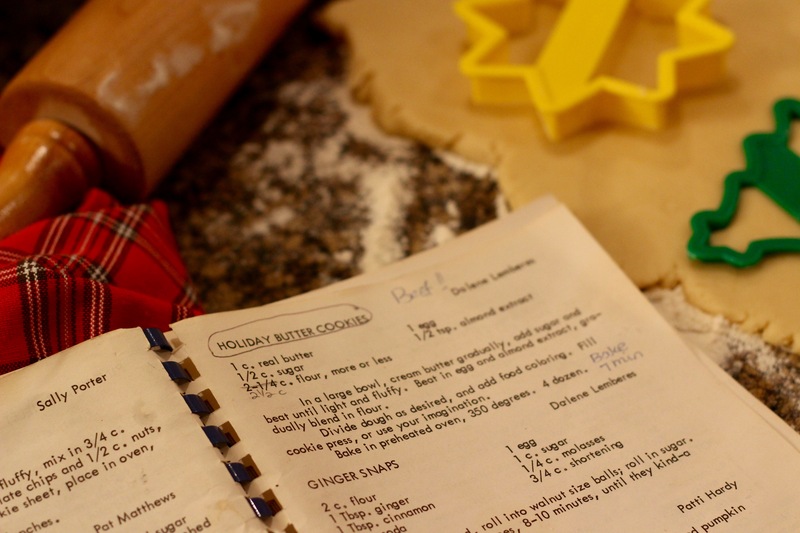 This recipe will make around two dozen cookies, depending on how big your cookie cutters are. You could also put icing on these if you wanted to, but they are quite rich without it, so we usually eat them plain. 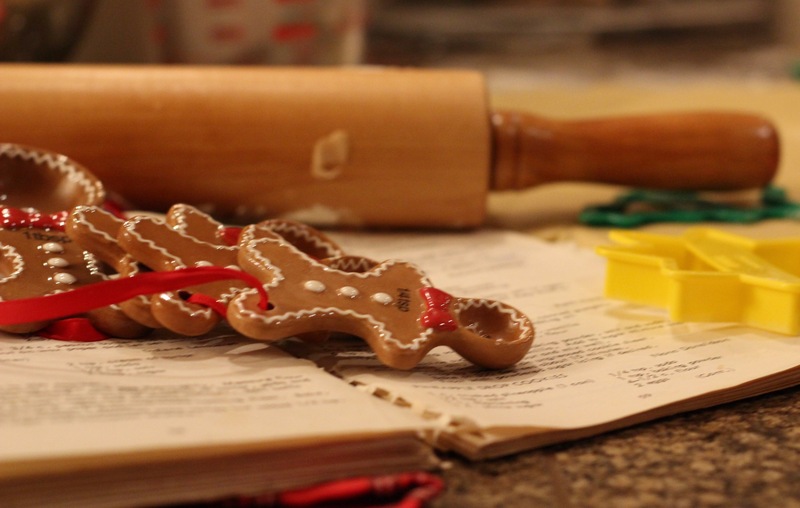 I hope you try this recipe, as it is so simple and really delicious, although maybe I’m partial since it is a family tradition. We love to enjoy these with a cup of coffee (sometimes first thing in the morning… Oops!). You won’t be disappointed!